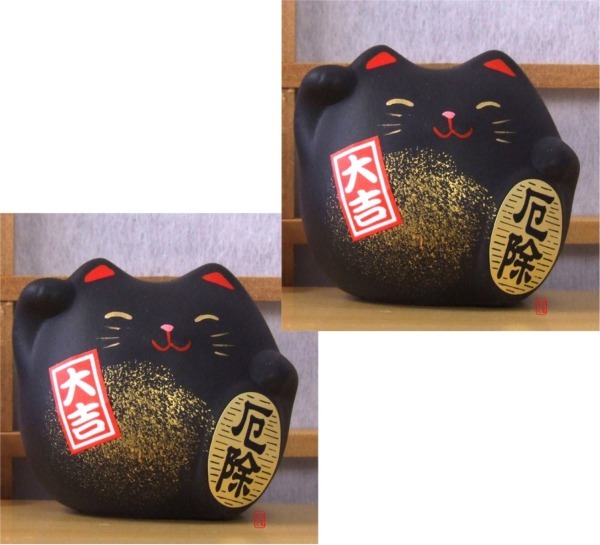 The cat has a mat black glaze with a sprinkling of gold on its front. 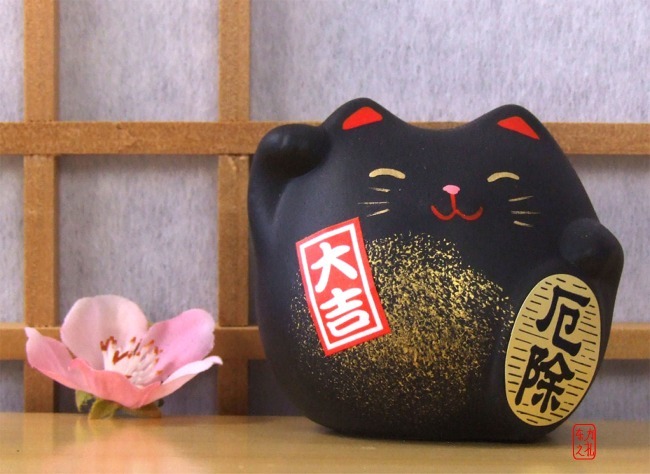 The cat has its right paw raised to bring in prosperity in to your home. 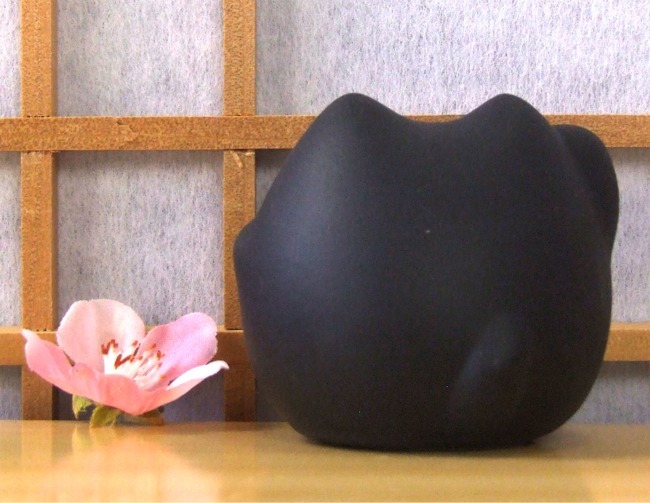 The colour black will help to deflect negative energy away from your home.